It's 24 FREQUENTLY USED colors, no duplicates. Each cone is 1100yd(1000 meters). 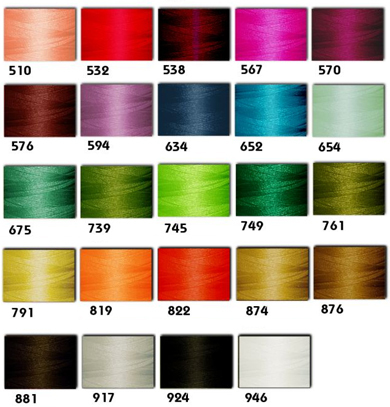 Thread weight is 40 wt - ultimate for almost all embroidery designs you can purchase. It is very shiny, smooth and looks beautiful when embroidered. 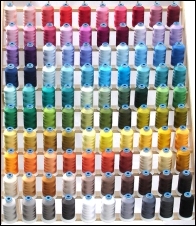 Rayon thread should be selected if using natural fibers, or keeping your embroidered items as soft as possible, are high priorities. 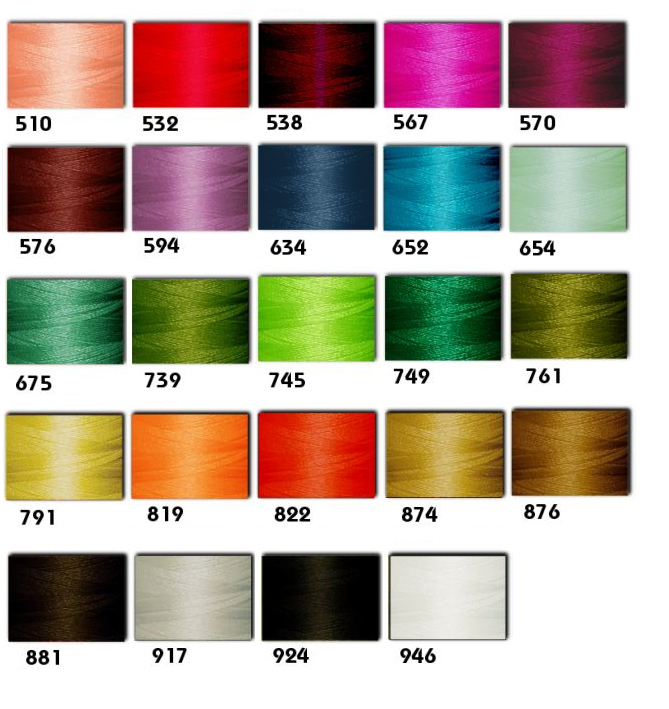 Yet, please remember that rayon thread is less strong than polyester. The cones come with neat navy caps that can lock thread ends and prevent your thread from unwinding while you aren't embroidering.